Water and light are two elements that can affect a growing orchid's success. Learn more in this free educational video series. What we are going to do is we are going to try and look at how we might adapt to what nature has in store. And we are going to adapt by trying to use a method of growing the plants which allow us to control moisture level, which allow us to control the way roots get their oxygen because it is always an issue with roots when they grow. We are going to look at the special containers that we might have to use and we are also to use and look at some things like where would you grow orchids if you were growing them at home. What special characteristics would you need. What special equipment do you need? Do you need a green house? 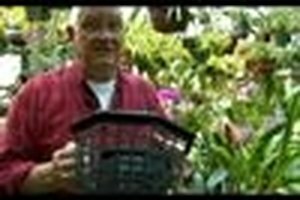 Can you use other methods rather than a green house and as it is, if you go to an orchid society you will find out that 98 percent of the growers in the orchid society don't use a green house. They use their window sill. 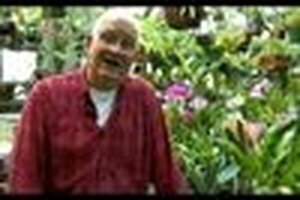 Bill has been working with orchids since 1951 but is the first to admit that he is still learning. He graduated from Stockbridge School of Agriculture in Floriculture/Horticulture. He then completed degrees in biology and microbiology at Clark University in Worcester, MA. He has a doctorate in Botany from the University of Massachusetts at Amherst. He has been the President of the Amherst Orchid Society and regularly writes a question and answer column for their newsletter. <p> He may be reached at wa.hutchinson@comcast.net<br>413-253-7036 <br>52 Jeffrey Lane, Amherst, MA 01002. <p> The greenhouse is open Saturdays by appointment.